Welcome to 4WDing Australia. Here you’ll find information on 4WD tracks, modifying your 4WD, using your 4WD safely and correctly, product reviews, trip reports, destination reviews and stacks of photos to inspire you to get out there and explore. Subscribe to the email list, check us out on Facebook and we will see you out there! 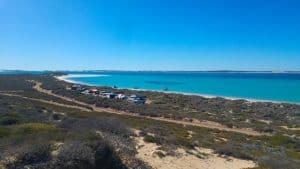 Read more here – 30 unbelievable camp sites in WA. Kakadu National Park in the Northern Territory has some truly unbelievable places. Gunlom, Maguk, Jim Jim Falls and Ubirr are all well and truly worth the effort to get to them, but there’s one little problem. Every man and his dog knows about them, and they are heavily visited by tourists and locals especially in the dry season. What if I told you of a gorge that’s capped at a maximum of 40 people camping there each night (and it rarely gets anywhere near that), and that its got a great walk and amazing scenery? Keen to know more? 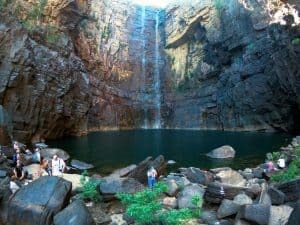 Continue reading here – Koolpin Gorge; Kakadu’s last crowd free destination. They are super impressive, and do an amazing job at charging batteries, and I can’t wait to see what technology will be out in 10 years. Read more here – Solar panels vs solar blankets; what’s best? 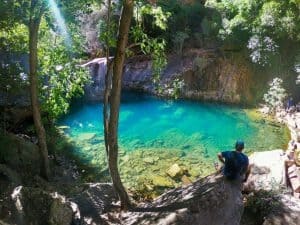 The Kimberley is one of the most amazing places on earth, and is frequented by those looking for adventure, unbelievable scenery, incredible wildlife and natural beauty. At roughly 3 times the size of England and with a huge list of spectacular places to explore you could spend months (and many do) exploring the region. In 2014, the Kimberley was ranked 2nd best region to visit in the world! There is lots of information online about the Kimberley, and that’s good. The problem is its spread everywhere, and can be extremely hard to find everything you need. With that in mind, I’ve compiled the ultimate and complete guide to the Kimberley, covering everything from where to go, what to take, where you can get fuel and supplies, costs, safety considerations, itinerary suggestions and more. Yes, this is a long post. Continue reading here – The ultimate guide to the Kimberley. The word ‘camping’ today conjures up a very different image to what it did 20 years ago. Sure, the idea might still be similar, but the equipment that is used today is worlds apart. I love nothing more than seeing innovative products come out that make camping more comfortable, enjoyable and simple. 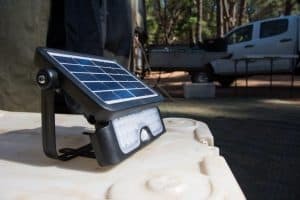 I also love seeing camping equipment that can do a number of different roles, and that’s why I was so excited to be sent an amazing solar powered LED flood light by MOMA Solar Lighting to review. Continue reading here – The ultimate LED camping light. 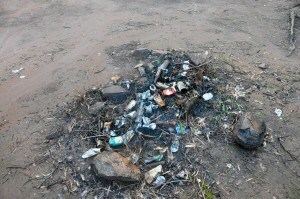 When you are camping in the bush, rubbish is inevitable; what can you do with it? In this post, we look at what your options are, and how to avoid having a stinky bag of rubbish inside your vehicle! Continue reading here – Camping and rubbish; what do you do with it? When was the last time you checked your air filter? The air filter in your 4WD does a very, very important role. If you were to remove it and drive on any dusty roads, your motor would live a substantially shortened life. 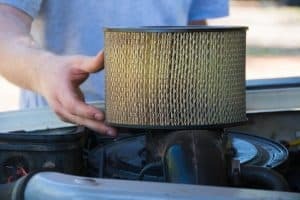 Given replacing and repairing 4WD motors is not cheap business, its worth taking the time to understand and look after your air filter.Continue reading here – How much attention does your 4WD’s air filter get? 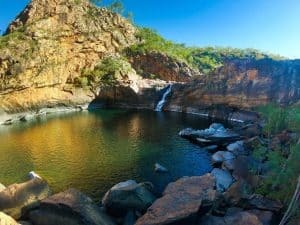 Way up the top of the Northern Territory lies Kakadu National Park, a dual world heritage site that attracts visitors from all over the planet. It’s full of amazing history, nature and some of the most impressive waterfalls in Australia. One of these is Jim Jim Falls. The drive in is fairly picturesque towards the end, and the walk nice too. Get near the end and you can hear the water running, and finally you’ll pull up almost entirely surrounded by giant rock walls, and water cascading down one side. 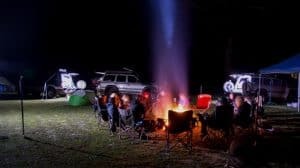 There’s no doubt about it; many places in Australia have some pretty cool nights to be out camping. There are a variety of ways that you can stay warm when camping, and in this post, we are going to cover everything. There are a few ways to ruin a camping trip, and being cold is high up on that list. No matter what the weather throws at you, it is possible to stay warm. Continue reading here – 14 ways to keep warm when camping. Fitting a catch can to a modern turbo diesel is extremely important. 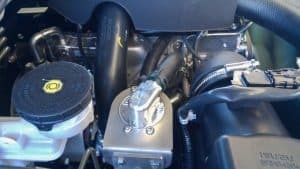 I wrote a post some time ago, covering this, and mentioning that I installed a catch can from HPD, or High Performance Diesel. You can read more about this here – Is a Catch Can important on a modern turbo diesel? Many of you know that I am extremely thorough in my research, and like any products I fit to my Dmax, I spend a lot of time researching and weighing up the pro’s and con’s of each option before I lay my hard earned down. I detest buying things twice, and will pay for a quality product the first time over several cheaper units that don’t work as well. Continue reading here. 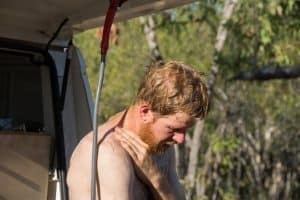 There are lots of ways that you can have a shower when camping, and we’ve tried a heap of them. These days, a lot of people run hot water on demand units, which essentially take a supply of water, and a supply of gas, and spits out water at what ever temperature you want. We have one, sitting at home that came with the camper trailer, and I’ve never bothered to use it. They use a fair bit of gas, are heavy, and take up a lot of room. That said, if you have the room, and the storage ability for gas and weight, they are an awesome, convenient bit of kit. Continue reading here. 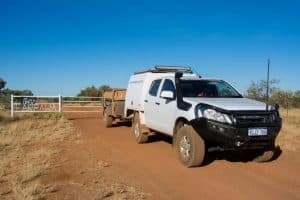 Is your 4WD really suitable or do you need a truck? In my opinion, too many people today are using 4WD’s to do a job they were never really designed to do. 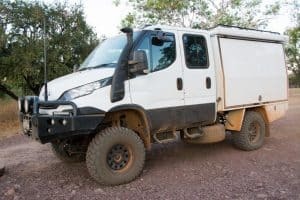 When I say 4WD’s, I’m referring to anything from a Suzuki Sierra through to a full size wagon like a Y62 Nissan Patrol or 200 Series Land Cruiser. 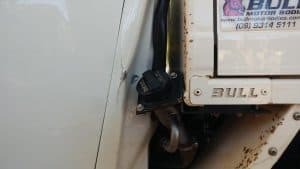 If you are towing a heavy trailer, this especially applies to you, but it also applies to those who have vehicles which are heavily loaded even without a trailer. Lets start with the basics; do you know what your 4WD weighs when its loaded? What about the total weight of your trailer and 4WD? If you don’t, you are living in a very dangerous position. Continue reading here. No matter what vehicle you drive, there’s no getting around the fact that Australia is a big place. When I say big, I’m not referring to just a bit big. Its massive, and to travel from one town to another can take a very long time. Before having our son Oliver, we would do 1200 – 1400km in a day, without an issue in the world. They were long, tiring and boring days, but done carefully and in a manner that was safe. These days, we try and limit our travel days to a maximum of 800km, with at least a few hours of break in between and stopping for more than one night at each spot. Continue reading here. LED technology has come a long way over the last 5 years. This, in turn, has made LED light bars substantially more affordable, even for the better quality units. 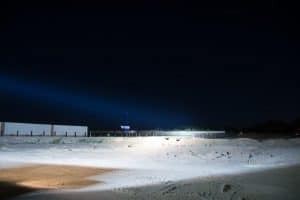 I ran a 600mm Narva LED Light bar on the 80 Series Land Cruiser, and it did a pretty good job, but was limited in distance and overall coverage. Every year that goes by lights for 4WD’s get better and better, and cheaper too. Solar panels for camping are’t really worth it, are they? While camped at the Kununurra Lakeside Caravan Park, a bloke arrived on the campsite next door, and we got chatting. 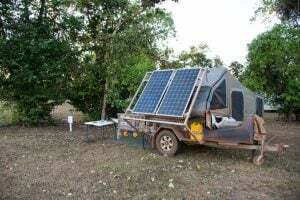 He wandered over to our mammoth solar setup on the camper trailer boat loader, and asked me what I thought of solar panels, saying ‘Solar panels for camping aren’t really worth it, are they’. I felt a bit unsure of what to say really; solar technology has come in leaps and bounds, and I know for us, we’d never be without it. As our conversation developed, I realised he didn’t know a whole lot about 12V gear, and perhaps there are others out there who think solar isn’t worth it. Continue reading here.